Residential Plumbing Mandurah, Rockingham, Peel Region. EFTPOS AVAILABLE. All Plumbing and Gas requirements phone for a free quote. 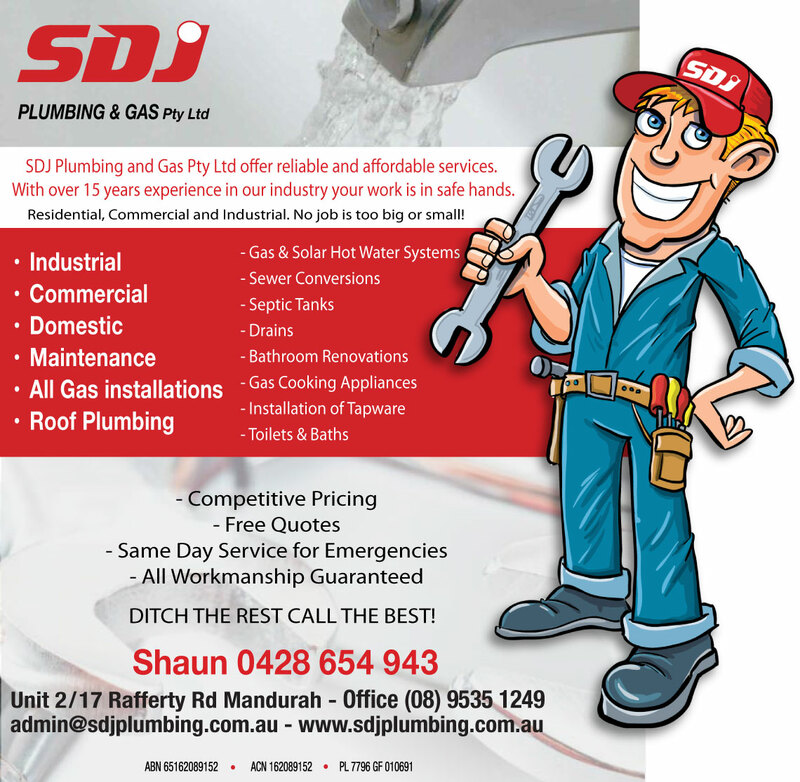 Same Day Plumbing and Gas Emergencies Mandurah, Rockingham, Kwinana, Peel Region. MANDURAH ROOF PLUMBING KWINANA. MANDURAH BATHROOM RENOVATIONS KWINANA. Same day for emergencies. Residential, Commercial and Industrial Plumbing and Gas Fitting. Maintenance, All Gas Installations, Roof Plumbing, Sewer Conversions, Septic Tanks, Drains, Bathroom Renovations, Gas & Solar Hot Water Systems, Gas Cooking Appliances, Installation of Tapware, Toilets and Baths. All Workmanship Guaranteed, Competitive pricing.